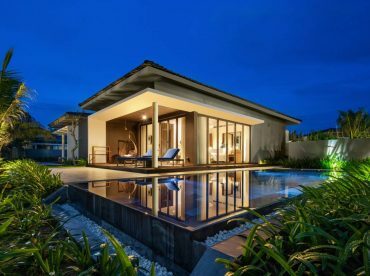 Novotel Phu Quoc Resort’s Deluxe Bungalow with Private Pool is a spacious, modern room, great for families with children. An 8-metre pool ensures the kids are occupied. For families with kids who need a lot of room to roam and play, the 39m2 Deluxe Bungalow with Private Pool offers a spacious interior fit with all the modern amenities necessary to make your tropical island vacation unforgettable. An 8-metre pool gives families a private area to lounge around when the island gets hot. The Deluxe Bungalow with Private Pool accommodates up to 2 adults and 2 children under 16 years old.